Today is all about blogger love! Today’s prompt: Mon. 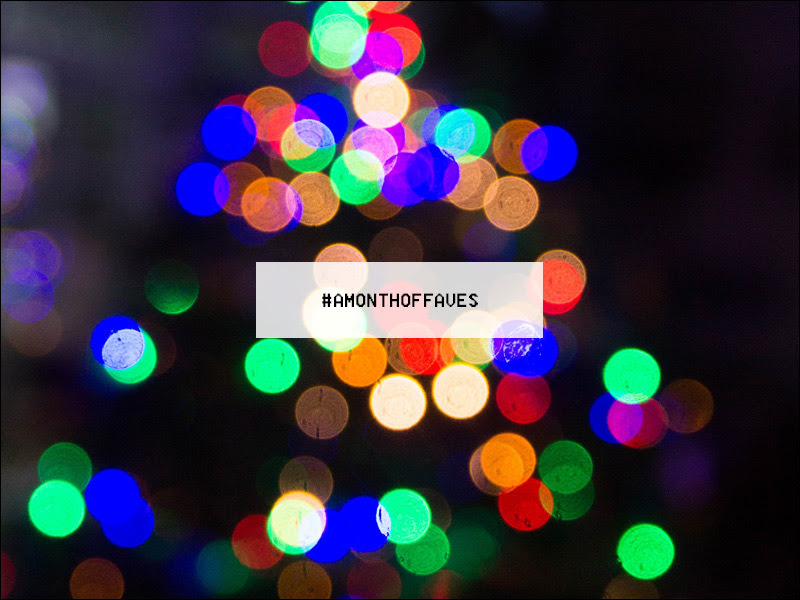 Dec 11 – #AMonthofFaves [The Blogger Love Edition] – Recommend some bloggers and for us to check out and tell us what you like about each blog, e.g. bookish, food, fashion, travel, lifestyle, money, mom blogs, productivity etc. Always With A Book– love Kristin’s reviews! Ivory Owl Reviews– Rhiannon keeps it real in her reviews. She’s not afraid to speak her mind. Suzy Approved Book Reviews– Suzy is passionate about sharing news about books! Roasted Romance– Brittany is relatively new to blogging and I found out about her through Ivory Owl Reviews. Her blog is def for romance lovers and her IG account is for any and all book lovers- plus, love her IG stories! Honey and Pine– I’ve known Ashley for a few years under different blog names and her latest blog feels the most like her. Smartly written and entertaining! The Novel Connection– I’ve read both Helen and Stacy’s other blogs, but love how they have combined to make The Novel Connection! Mom’s Small Victories– Tanya blogs about books (some), living with a chronic illness and gives inspiration on how to be a girlboss in the blogging world. Awh – thank you so much for the shout-out! I’m honored! I couldn’t get this post done, but will be back for Friday’s post! I always love finding new folks; thanks for sharing these! OOOH! So many good ones. And INSTA accounts! I need to feed that beast. Love it! You are SO welcome! 🙂 🙂 I’m starting to think about FF as well- just get me yours when you can! That’s a pretty good list…many I’ve heard of, but many I haven’t either.